Media specialist, mother and author, Mélina Mangal writes to fill a void and inspire. 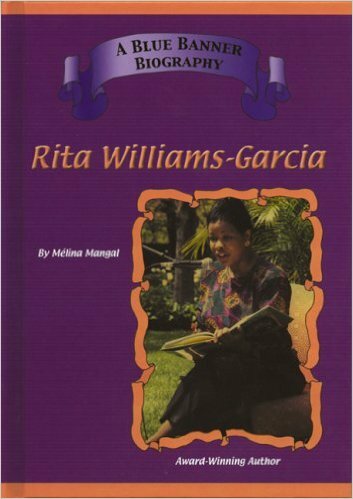 Her books include biographies on award-winning authors like Virginia Hamilton, Mildred D. Taylor and Rita Williams-Garcia. They’re stories she didn’t see in bookstores or on library shelves, so she created them herself. My writing began with letters: to my father in Vietnam, my grandmother in France, my pen pal in Jamaica. 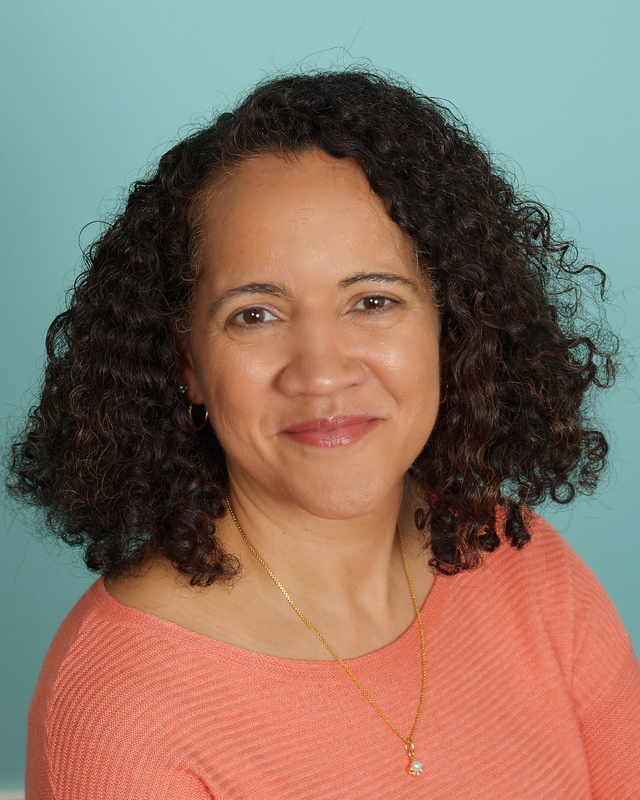 Around sixth grade, I discovered Langston Hughes and shifted my attention to diary writing. That’s when I first thought of becoming a writer. It wasn’t until after college, working as a textbook production editor, that I tried to publish my work. My first published piece was a journal entry in an anthology. When the beautiful book arrived featuring luminaries like Alice Walker and Audre Lorde, I was both inspired and humbled. How could my unpolished debut appear alongside their work? I didn’t submit anything for five years after that. I couldn’t. I had to become a better writer. Through a move across the country, graduate school, and a new career as a school librarian, I kept writing and reading and attending workshops. When my short story “Georgia’s View” (inspired by a Jonathan Green painting) was published in a literary journal, I was hooked. Writing short stories was addictive. So was children’s literature. My short stories began to feature children, and were published in anthologies such as Milkweed’s Stories From Where We Live series. After a writing retreat with editor Patricia Gauch, and a week with Rita Will iams-Garcia at the Highlights Writing Workshop at Chautauqua, I was inspired to craft longer works. I moved back to Minnesota, got married, and started writing biographies of the inspiring people lacking from my library shelves, like the trailblazing author Virginia Hamilton, which became my first book. 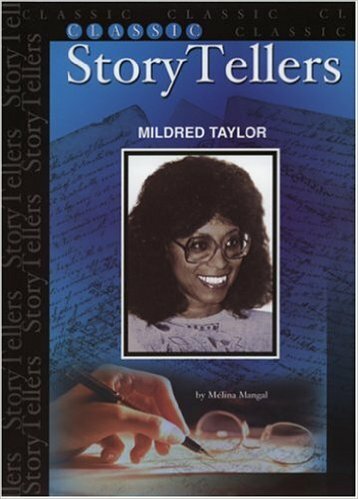 Rita Williams-Garcia and Classic Storytellers: Mildred Taylor came next. I wished their books had been available to me when I was a kid. After the birth of my daughter, I became even more engrossed in picture books, and in delving deeper into my stories. I’m now spending more time exploring the visual images conjured by my words, after studying with Maya Cristina Gonzalez. My poem “Black Is” will be published in a collection by Reflection Press this spring. I spent the last couple of years researching and writing a picture book about the groundbreaking scientist Ernest Everett Just, which is due out in 2017. I can’t wait for young readers to learn about this inspirational man and his contributions to science. Although I had no problem reading, I became a Reader the summer before sixth grade when my family moved from a small town in Wisconsin to the ‘big city’ of St. Paul, Minnesota. I could walk to the library, and there I found books featuring all kinds of people—including people who looked like me. That’s where I discovered Langston and Maya Angelou. I read poetry, biographies, mysteries, and historical fiction, all of which I still turn to for inspiration. Books by Jacqueline Woodson, Vaunda Michaux Nelson, and Tonya Bolden open my mind, while Tracey Baptiste and Jewell Parker-Rhodes fuel my love of nature, magic, culture, and spirit. Ideas come easily to me. I don’t experience writer’s block, but I do suffer from what I call ‘dreamer’s deluge.’ I often have too many thoughts competing for attention. I typically have at least three projects of varying stages in the works. An idea starts with an image, or maybe a voice. I keep a notebook with me and jot it down. I write first by hand, capturing everything I can. I continue fleshing out details of characters by creating a character sketch. Poetry pops up when I try to get inside a character’s head. Later, I revise on the computer, then write by hand again when adding or changing scenes. Full-fledged stories take a long time to percolate. It’s encouraging to see the work of writers and illustrators like Zetta Elliott, Kathleen Wainwright, Janine Macbeth, and Jerry Craft, who are paving a new way with Rosetta Press, Willa’s Tree Studios, Blood Orange Press, and Mama’s Boyz. Illustrators like Keturah Ariel Nailah Boo, Melodie Strong, and Peter Ambush are creating fresh, vibrant work, highlighting the significance of images in young readers’ lives. Learn more about Mélina Mangal here. CONGRATS Melina! Thanks for all you have done and all you will do. I love this idea of “dreamer’s deluge.” I wish I suffered from such a thing! “Dreamer’s deluge.” SO TRUE, too many ideas all cramming themselves in. Lucky us that Ms. Mangal keeps writing them down. Thank you! Thank you for sharing stories about your process and inspiration. And thank you for bringing stories to the world that celebrate diverse lives and inspire others. Found you! Lovely work, Mélina (avec l’accent aïgu). I’m so happy to see your long journey bring you to this place. Congratulations. Now I’m off to my local independent bookstore. Merci, Mimi! And thank you all for reading and supporting this great website!